Greedy Car Thieves has just reached a new version which brings many new features and fixes to this much anticipated Linux game. We covered this game in past and the response has been great within the Linux community. The game is heavily under development and these builds are test versions having multi-player mode at the moment. 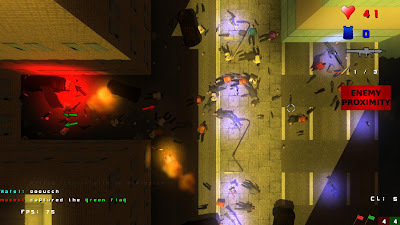 Greedy Car Thieves is a 3D top down shooter, exploration and driving game inspired by one of the most popular series of all time, Grand Theft Auto. The game perfectly blends old school fun with fast paced action. In multi-player mode you can face real players in various game types. Follow the stories of a couple of friends from childhood, who now stand on the opposite sides of barricade. Thomas is a lawman, while Kevin is law breaker. Witness how their life paths cross while they take hard decisions, leading to a dramatic finale. Multi-player mode with various game types: free for all, 1v1, team DM, capture the flag, hunting, race etc. From the game folder, run the file gct-game-startup for multi player mode. Join a server to run the game.